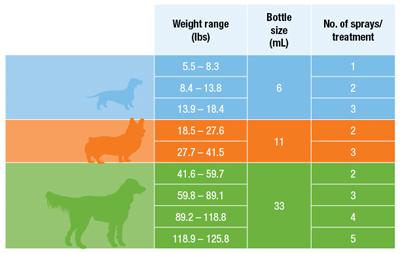 The first and only veterinary NSAID with transmucosal oral delivery for canine osteoarthritis. Because it's quick and reliable. No hassle: No pills. No measuring. No need to give with food. 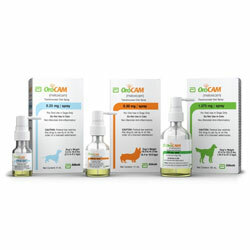 With just a few sprays inside the cheek, the meloxicam molecules in OroCAM are rapidly absorbed into the circulation, so your dog receives the medication prescribed. There is nothing to measure and nothing to swallow. OroCAM can be administered anywhere, at any time of day and storage does not require refrigeration, making it quick and portable. OroCAM is a veterinary Non-Steroidal Anti-Inflammatory Drug (NSAID) indicated for the control of pain and inflammation associated with osteoarthritis in dogs. OroCAM contains meloxicam. Meloxicam acts by blocking enzymes that trigger inflammation, pain and fever. OroCAM is uniquely formulated to be absorbed into the circulation through the tissue inside the mouth. OroCAM is delivered via a small pump. Each pump delivers a uniform spray that enables consistent contact with the soft tissue inside the mouth and along the gums. The rich blood supply in the tissue inside the mouth allows the meloxicam molecules in OroCAM to be rapidly absorbed directly into your dog’s bloodstream.